Thursday is GURPSDay, and have we got a pre-tryptophan set of posts for you today. Over the last week as of just after midnight there have been 55 GURPS-related posts from our list of 69 blogs that have popped up on the radar screen. We also have two new blogs – Path of Houserules and Methods and Madness. Welcome! Session: Shuffling Off the Crimson Coil (11/17/16) – The new party assaults the Crimson Coil hideout. Recap: Planet Mages Session 2 (11/17/16) – Digging around the hotel room for clues. Magical Style: Royal Firefighter (11/17/16) – Firefighting spells. Surviving, rescuing, and extinguishing. Powers: (Inspired By) Geodude (11/16/16) – Rocky fighting abilities. Powers: (Inspired by) Tentacool (11/15/16) – A handful of poison and translucence themed abilities. Review: Dungeon Fantasy Denizens – Swashbucklers (11/14/16) – In one word, I am “content” with Dungeon Fantasy Denizens – Swashbucklers. Powers: (Inspired by) Bellsprout (11/13/16) – A short list of abilities that have fallen through the cracks. Powers: (Inspired by) Machop (11/12/16) – A buncha martial abilities. Review: Dungeon Styles (11/11/16) – Easily a great book if you like Magical Styles, easy to pass up if you don’t. Simple Tricks V (11/17/16) – The Crew is stuck between a Rock and a Cold place! 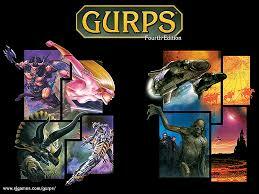 The continuing saga of the Crew of the Painted S’kytri in our GURPS: Star Wars campaign, Simple Tricks and Nonsense. Quick Video Tour of GURPS Calculator (11/17/16) – Today I share a quick video tour of the online GURPS Calculator app. I have mentioned it before on the blog (I’m a huge fan), but I hope the video can really give an idea of how crazy useful this thing is. Enjoy! Hmm. I got a pingback from here, but I don’t see the post listed up above. Your blog choked on the second and third runs of the script today. Sometimes that happens for reasons I cannot fathom. I’m sure that when I run it again in a few hours it’ll be back on there. And you’re back. You got caught behind JFZeigler’s blog, which is misbehaving today.